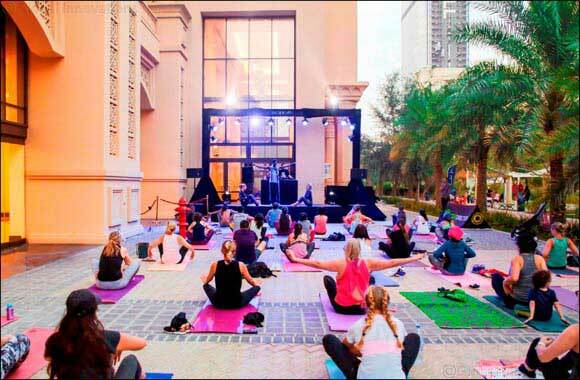 Dubai, 19 March 2019: Golden Mile Galleria on Palm Jumeirah is hosting the second edition of its free Run & Flo fitness event following a tremendous response to the first session last month. Over 100 fitness enthusiasts and their friends and families participated in the first Run & Flo last month, guided by triathletes, fitness experts and yoga gurus. The next event is on 23 March, with another session planned for April. Golden Mile Galleria’s Blossom Nursery (@theblossomnursery) is offering free access to a safe activity zone for children while parents participate in Run & Flo, including playdough time, colouring activities, face painting sessions, kids’ yoga, Zumba and building blocks. Meanwhile, Mokha 1450 cafe (@mokha1450) will serve complimentary shots of freshly-brewed iced coffee; Wagamama (@wagamamauae) will serve free juice and Organic Cafe (@organicfooduae) will give complimentary coconut water and protein bars to all participants. Warm Up & Run features an energetic 2.6 km sprint at the scenic Al Ittihad Park running track, adjacent to Golden Mile Galleria.